As Spring is just around the corner and greenhouse gardeners are about to start sowing, Mr Fothergill’s offers a natural seaweed concentrate that improves seed germination and root growth. Studies confirmed that soaking seeds in Seasol prior to sowing, or watering with Seasol immediately after sowing, gives seeds the best possible start in life and leads to vigorous, uniform plants. The 1 litre Seasol is now stocked in over 650 retail outlets nationwide and Mr Fothergill’s has launched the seaweed-based plant tonic in a 4-litre format for the 2019 season. Seasol is derived from a blend of the finest brown kelps and is proven to stimulate root development. The tonic promotes healthy growth of plants, flowers and vegetables, enhances flowering and fruiting and increases resistance to heat, drought, frost, pests and diseases. It can be applied directly to soil or foliage, contains beneficial micro-nutrients and is also rich in trace elements. 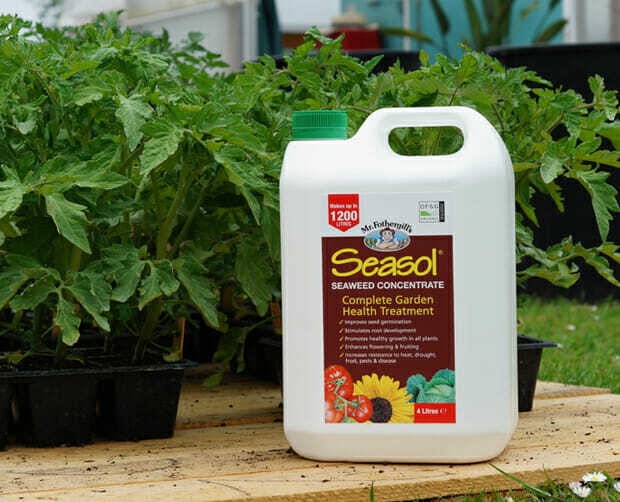 A 4L bottle of Seasol is priced at £19.99, visit your local garden centre, head over to www.mr-forthergills.co.uk to shop or request your copy of the Mr Fothergill’s latest seed catalogue.